David Jones, the CEO and founder, served two tours in Vietnam. When David returned to the United States, he was a victim of homelessness. At that time, he received assistance from the YMCA where shelter was provided for him. During his stay there, he encountered other wartime veterans who were also desperately in need of assistance. 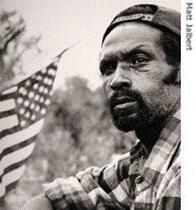 Therefore, after his retirement, he started the non-profit organization to assist disabled and homeless veterans. Since the inception of the organization, David and his wife have utilized their personal funds to support the program. 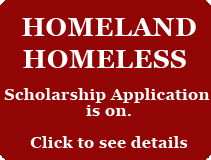 This organization was established in 2007 to assist disabled and homeless veterans. Our organization is recognized as tax-exempt under section 501(c)(3). For the past 10 years, the organization sponsored a food program for veterans in the Watts, Willowbrook, and Compton areas in California where the CEO was born and raised. Not only did the organization provide meals for the veterans, but the organization also helped other less fortunate people in the area. Veterans received information about the benefits that they were eligible to receive. Additionally, David personally gave the veterans a step-by-step guide of all the necessary procedures that enabled them to obtain their benefits. The organization referred veterans to agencies within and outside the veteran’s administration that further assisted them with their sometimes difficult transition. Additionally, the organization sponsored events for the disabled and homeless veterans who are housed at the West Los Angeles hospital and the hospital in Long Beach, CA. At these events, free food and entertainment were provided for approximately 1,000 veterans. These annual events were given for the patients at the hospital who were permanently bed-ridden and never had an opportunity to experience an event of this nature. These veterans suffered from post-traumatic stress disorders and permanent life-altering injuries that have forever changed their lives. This non-profit organization is supported by David and his wife who used their personal funds to sponsor these events. They are senior citizens on a fixed income, but they are dedicated and committed to making a difference in the lives of veterans. 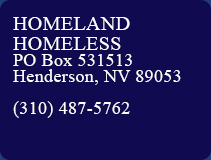 Presently, David and his wife have relocated to Henderson, Nevada where they will continue to provide services for veterans. In addition to this, they have established a scholarship program which will provide financial assistance to children of veterans and other deserving students.